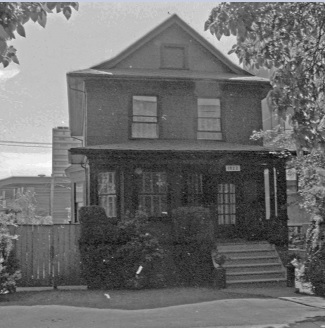 1822 Nelson Street – Vancouver City Archives – CVA 1348-8 – [House at] 1822 Nelson – date 1968; http://searcharchives.vancouver.ca/house-at-1822-nelson;rad. 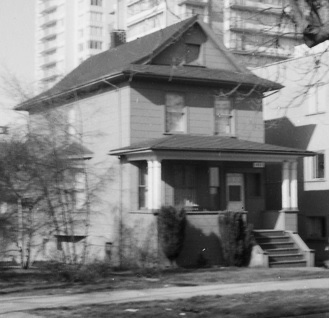 1822 Nelson Street, 1978, Vancouver City Archives; CVA 786-1.18; http://searcharchives.vancouver.ca/1822-nelson-street. 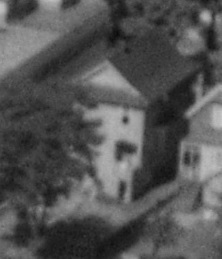 1822 Nelson Street; detail from First Beach, 1954; BO-54-211; http://vintageairphotos.com/bo-54-211/. 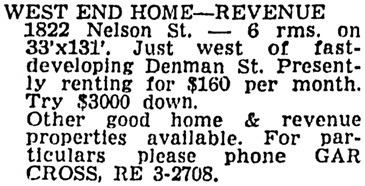 1808 Nelson Street was on the south side of Nelson Street, just west of Denman Street. Legal Description: District Lot 185, Block 69, west half of Lot 2. 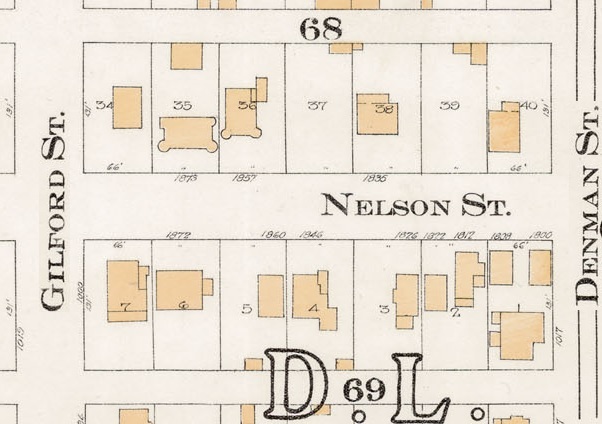 1800 Block Nelson Street; Detail from Insurance plan – City of Vancouver, July 1897, revised June 1901 – Sheet 43 – Coal Harbour to Comox Street and Bidwell Street to Stanley Park. 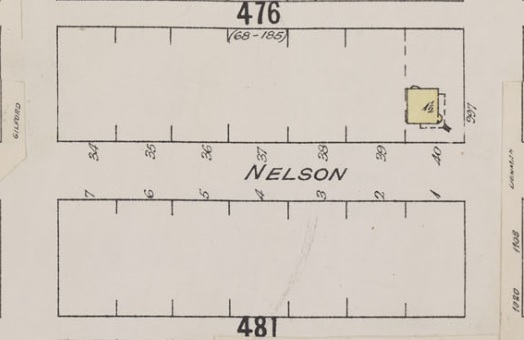 1800 Block Nelson Street; Detail from Insurance plan – City of Vancouver, July 1897, revised June 1903 – Sheet 43 – Coal Harbour to Comox Street and Bidwell Street to Stanley Park. 1800 Block Nelson Street – Detail from Goad’s Atlas of the city of Vancouver – 1912 – Vol 1 – Plate 8 – Barclay Street to English Bay and Cardero Street to Stanley Park. 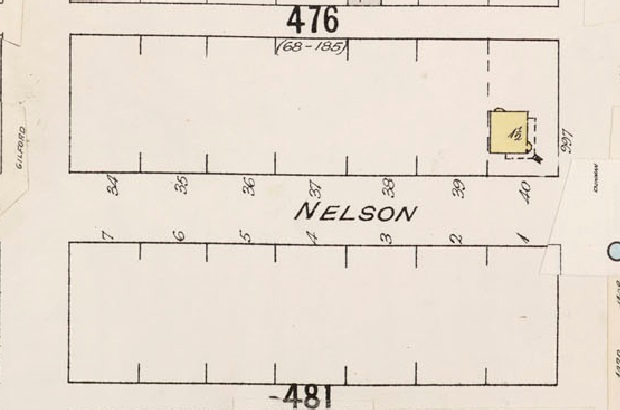 1822 Nelson Street and 1812 Nelson Street; 1913, detail from Denman Street to Haro Street to Chilco Street to Comox Street; 1972-582.29 – Plate 54; Reference code: AM1594-MAP 383-: 1972-582.29; https://searcharchives.vancouver.ca/plate-54-denman-street-to-haro-street-to-chilco-street-to-comox-street. There is one reference to this property in Heritage Vancouver Society’s database of historic building permits: http://permits.heritagevancouver.org/index.php?cID=1 [searched February 5, 2019]. Vancouver directory listings from 1907 to 1923. Vancouver Sun, May 11, 1925, page 13, column 3. Vancouver Province, September 9, 1939, page 29, column 5. Vancouver Province, September 30, 1950, page 27, column 3. From 1954 to 1956, the house was for sale. Vancouver Province, March 10, 1954, page 38, column 1. Vancouver Province, July 23, 1955, page 36, column 8. 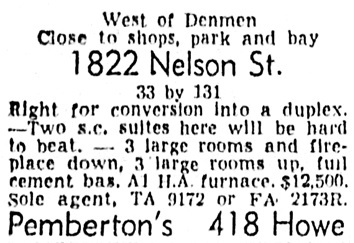 Vancouver Sun, May 8, 1956, page 36, column 5. 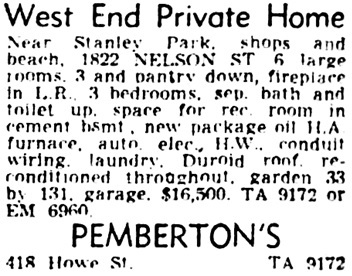 The house was for sale again in 1965 and 1966. Vancouver Province, September 16, 1965, page 23, column 5. 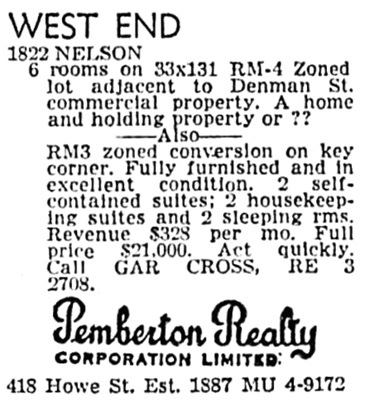 Vancouver Sun, March 5, 1966, page 44, column 3. 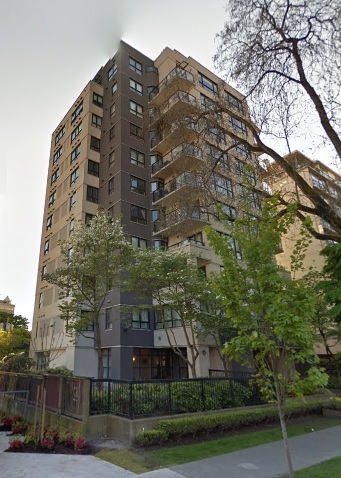 In May 1988, a firm of architects applied for a development permit to build an eight-storey apartment building on the property (and apparently on the property at 1826 Nelson Street as well). Vancouver Sun, May 7, 1988, page 76, columns 2-3. In July 1988, the architects applied to increase the height of the building to 11 storeys. Vancouver Province, July 17, 1988, page 114, columns 5-6. 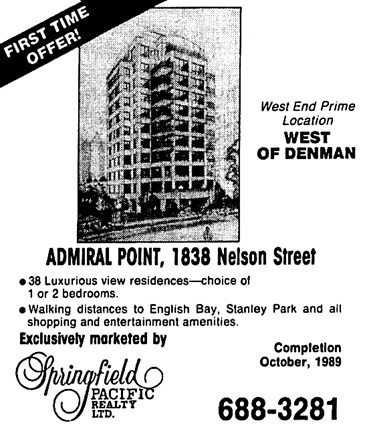 The Admiral Point apartments appeared at 1838 Nelson Street in 1989. Vancouver Sun, May 13, 1989, page G4, columns 5-7. 1838 Nelson Street; Google Streets; searched February 6, 2019; image dated May 2015.